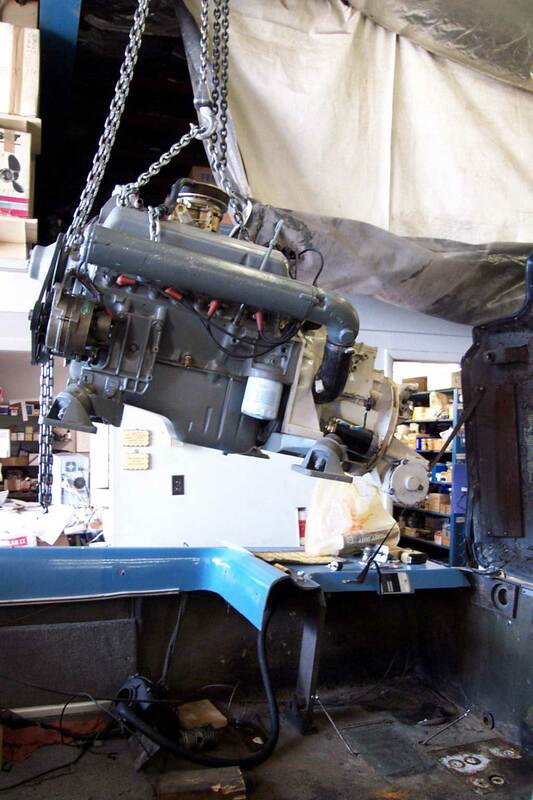 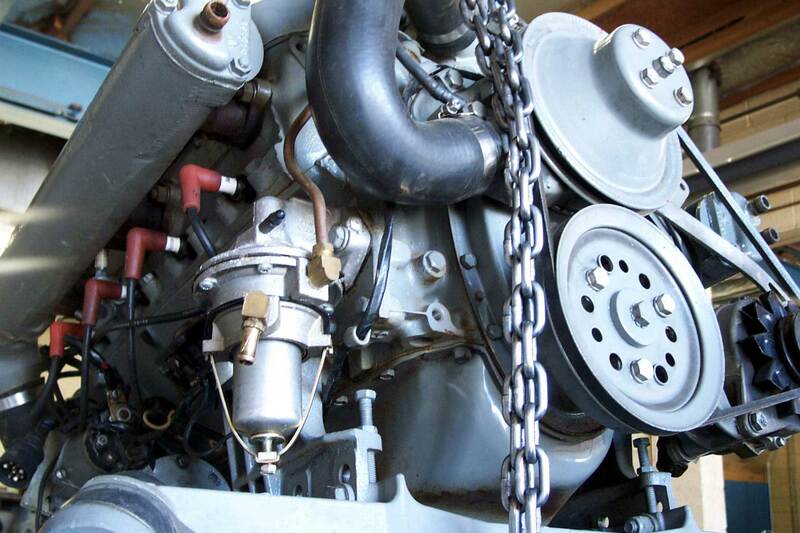 A low-hour (550-hours), donor power plant and sterndrive came from a 1971 OMC-powered, 22-ft Reinell, essentially the same engine that powered the 1969-70, 19-ft, 210 hp Evinrude Rogue & Dolphins and the Johnson Surfers. At 6,500 ft ASL, I'm no longer worried about a lack of low-end torque! 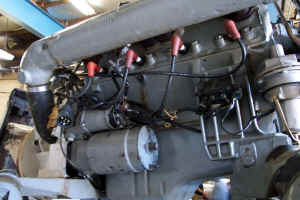 The 307 SBC shares the beefier crankshaft of the 327 with "medium-sized" journals. It's the same bore as a 283 (3.875") but with the 327's .25"-longer stroke (3.25"). 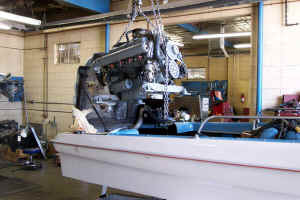 All OMC V-8 powered boats (19-ft only) were either Buick 300 V8's from 1966 to 1967 or Chevy 307 V8's in 1968 to 1970. 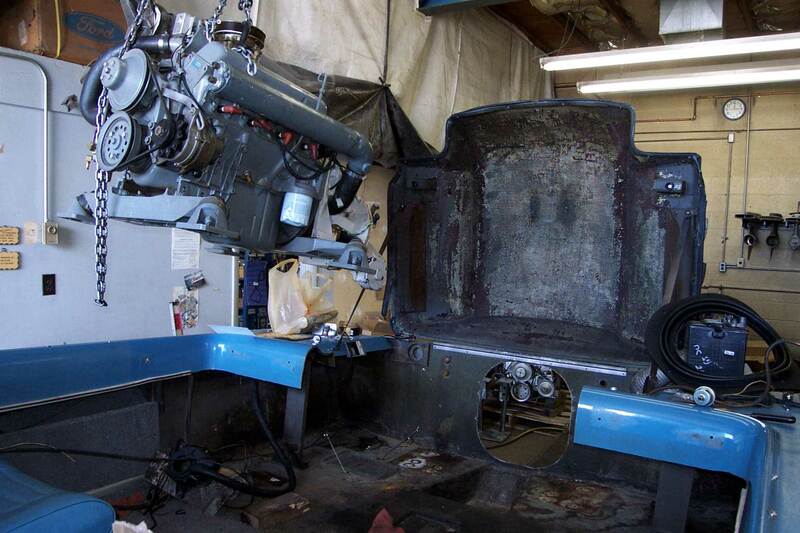 A few 283 V8's (185 hp and 210 hp) were built by OMC in 1967 but were only sold to OEM boat builders. The donor electric stringer sterndrive is the same high-profile, but has the "taller" V8 (prop-to-engine) overall gear ratio (1.16) or total ratio ( .86), thus saving changes in prop pitch from the original "shorter" ratio V6. 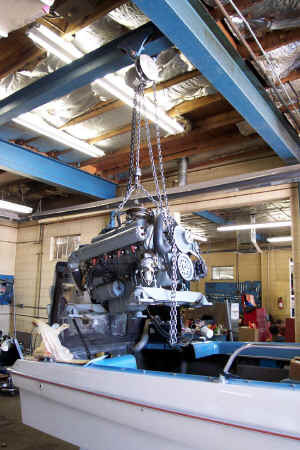 The V8 Chevy fits, just barely. 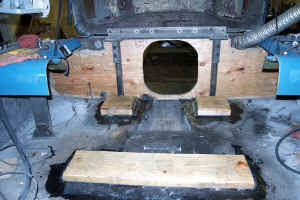 While it is narrower than the Buick V6, it is approximately 4-inches longer, while being the same height. 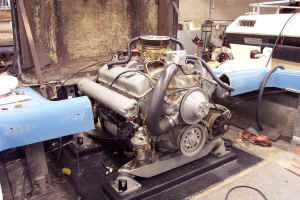 The small block Chevy V8 does weigh in at 90 lbs more than the Buick V6, which requires an additional inch of static draft. 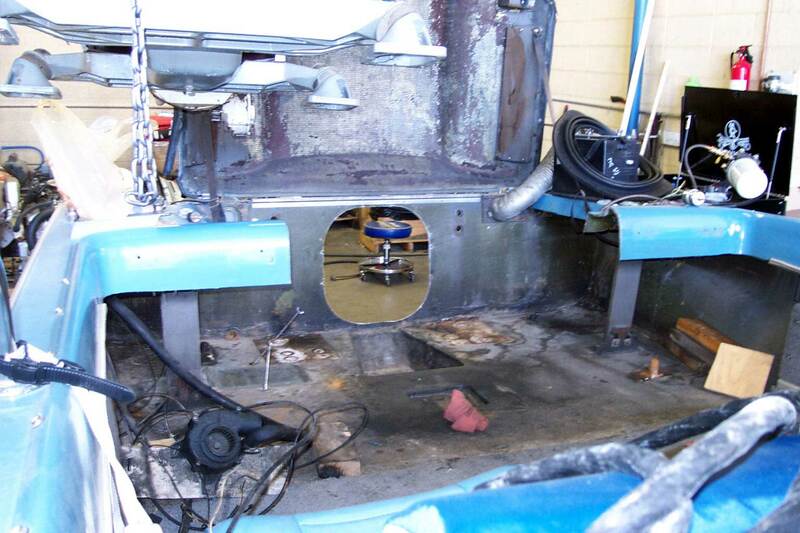 The original rope/pulley/cable steering is now converted over to OMC's exclusive torque-free, Tru-Course, push-pull gear-driven, cable system for improved reliability, control and safety. 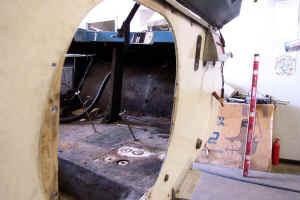 An added bonus is the sterndrive (rudder-angle) indicator, not previously present. 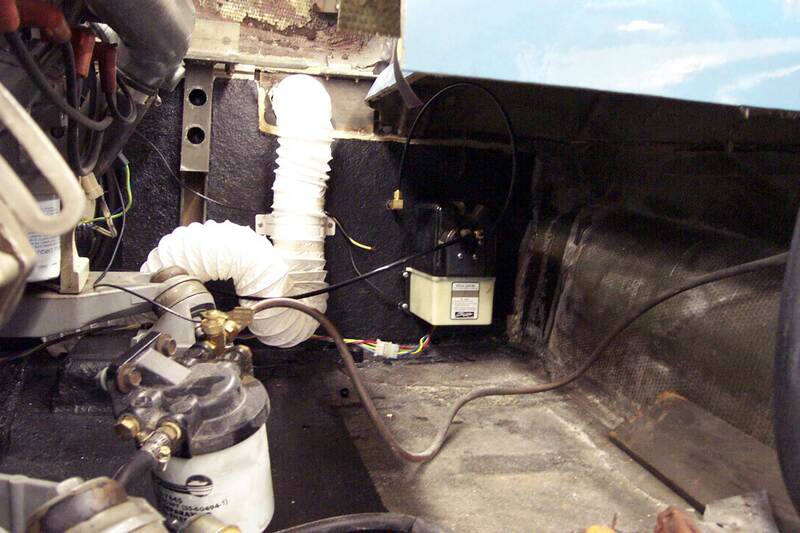 Electrical wiring is also upgraded: the 1971 V8 is using (post-1968), yellow and black, round-style electrical connectors. This provides additional safety with 60-amp fuse protection on high-current alternator feed and 100-amp fuse on the tilt motor circuit. 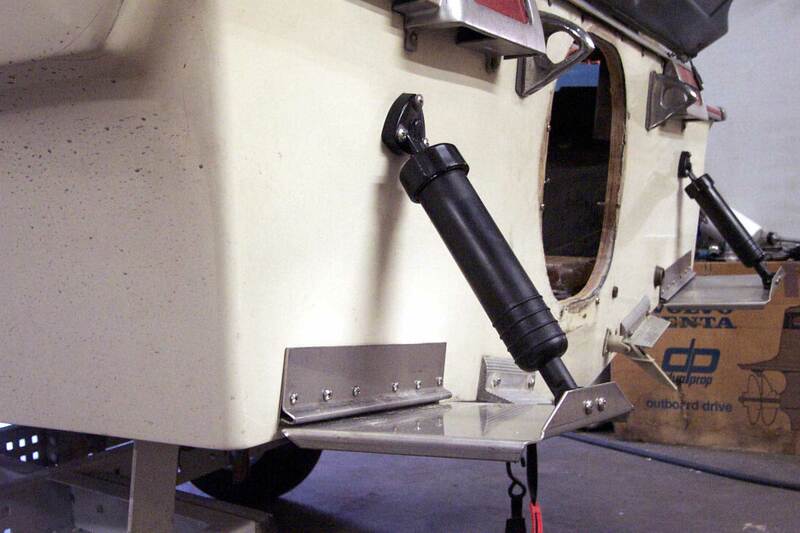 The original push-button remote control is replaced with the single-lever style, incorporating the starter interlock. 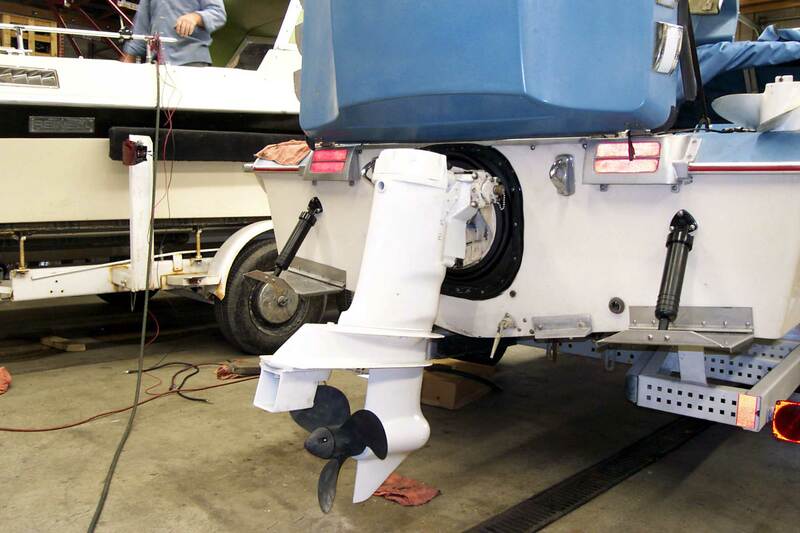 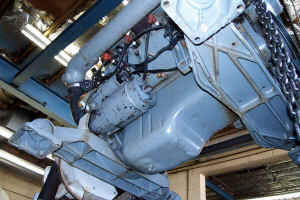 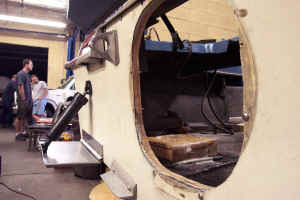 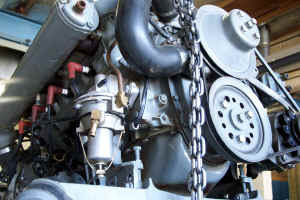 Separate bilge and blowers replace the original combined unit. 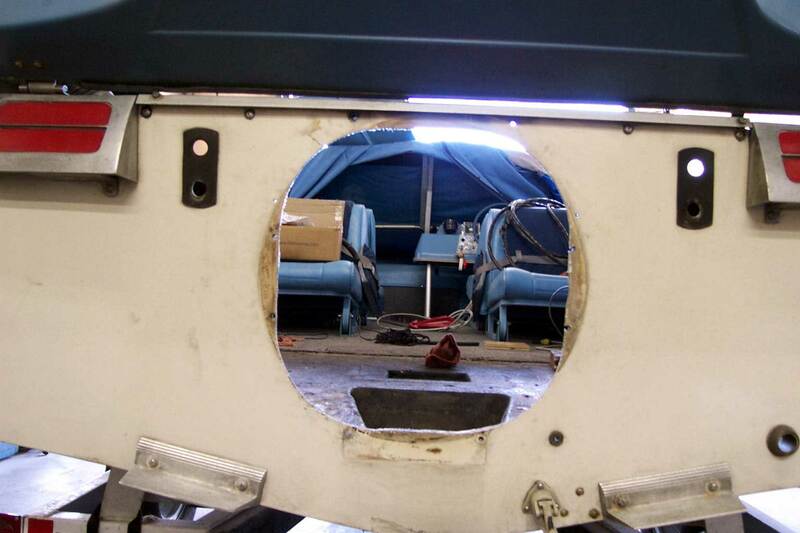 Open wide and say, "Ahhh..."
head is integral with the top deck. 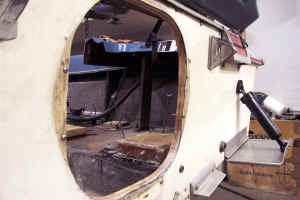 Problems: 1) The original transom was extremely thin (est. 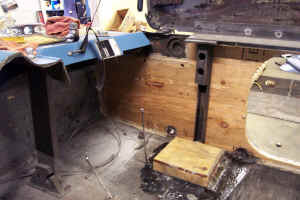 1/8-inch or less) and not suitable for supporting the new hydraulic Bennett Trim Tabs; and 2)The original Buick V6 motor mounts were centrally located in the recessed area just ahead of the bilge. The Buick used the early (1963- 67 style) upper intermediate housing rubber mounts which where located on the steel cross-member that also supports the transom towing eyes. 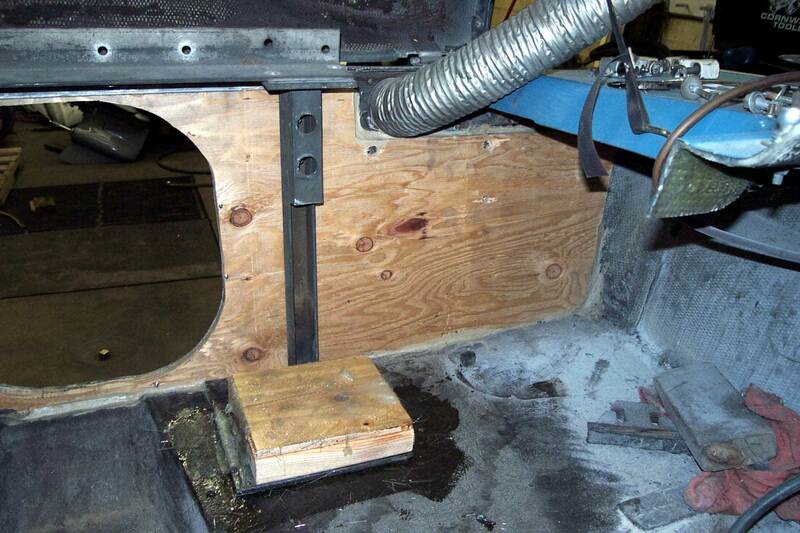 1) New transom uses 3/4-in plywood build-up for supporting of trim tab pistons. 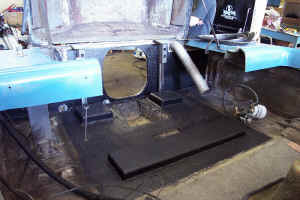 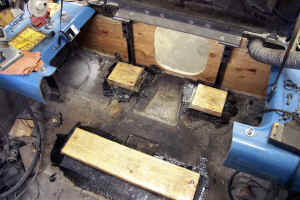 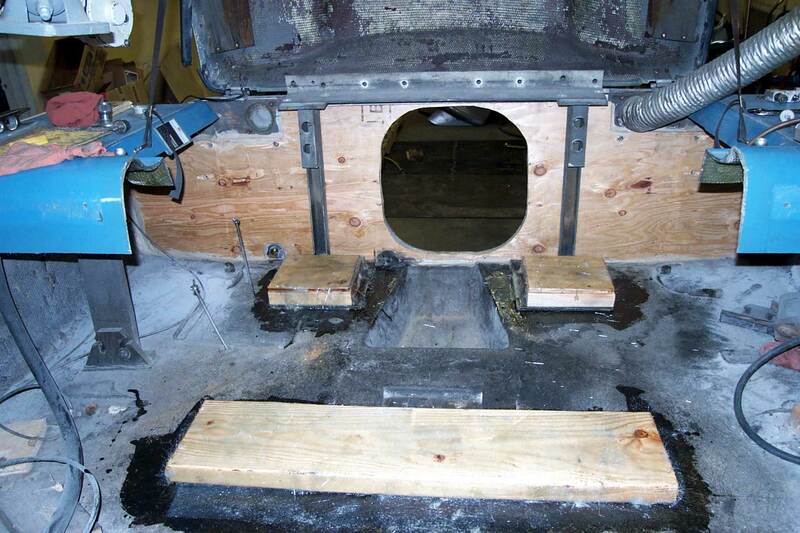 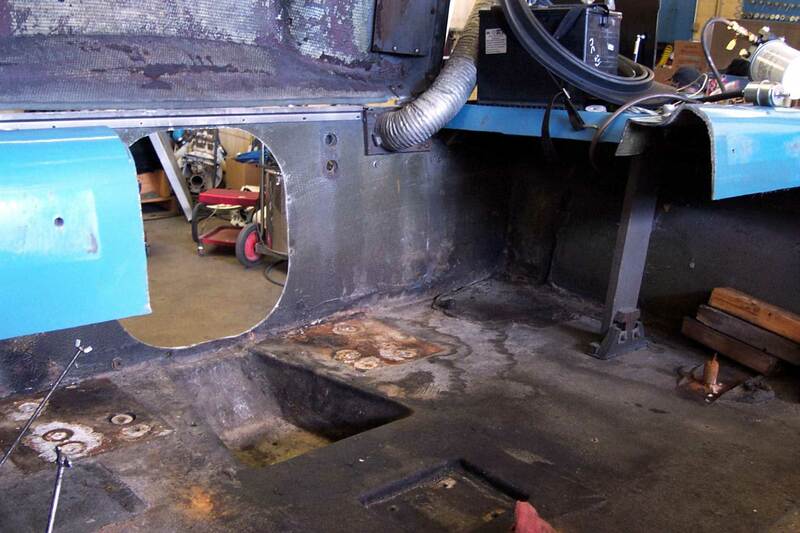 Floor engine mount pads and transom are fiber-glassed in place for waterproofing bilge area.